The 2019 CMA National Conference offers a variety of study tours. Study tours take advantage of local expertise to help you learn more about practical approaches to apply within your institution. You will enter each site through the front door and move through them systematically to get a thorough look behind-the-scenes. You will learn about the exemplary works that fulfill our traditional mandates. You will also learn about different aspects of cultural and heritage tourism. All tours depart from the Hilton Toronto Hotel. A separate fee is applicable for each tour and includes admission to all sites, guided tours, food and transportation as specified. Comfortable walking shoes or hiking boots are a must, as is a warm, water and windproof jacket or coat. Add a hat and a pair of gloves and you’ll be prepared for any weather conditions, but we’re hoping spring will have sprung! Be sure to pack your camera! Bus departs Toronto Hilton Hotel at 8 a.m.
Here’s your opportunity to see how others do it! 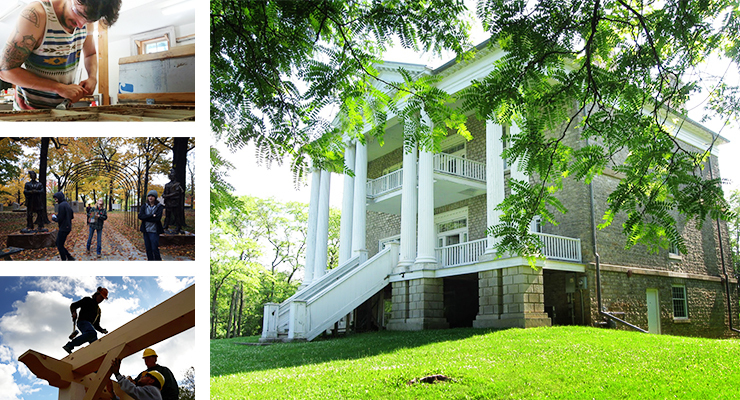 Enhance your CMA 2019 experience by participating in our full-day Study Tour to the Niagara region where participants will visit both the Willowbank School of Restoration Art and the Canadian Food and Wine Institute at Niagara College (CFWI). The Willowbank School of Restoration Arts Upper Campus will be our first stop of the morning. The campus includes the stunning estate house occupied by the Alexander Hamilton family from 1836-1936 and the John Bright family from 1936-1966. Learn about the Deep Hollow Ravine portage from the Niagara River below Queenston to Chippewa. Designated a National Historic Site in 2003 and operating as a private career college since 2006, the school property includes an 1870’s barn reproduction donated by Bram and Bluma Appel, a unique drystone wall building and a medicine garden managed by volunteers from the Niagara Peninsula Aboriginal Area Management Board. The historic Laura Secord public school was acquired in 2015 and is known as the lower campus. Classrooms are dedicated to books and archives, ceramics and stained glass, plastering and mortar mixing and drawing. The property also includes blacksmith forges and a lime kiln. Participants will see firsthand a window restoration demonstration from Willowbank alumni in the barn as well as how to braid sweet grass and time permitting, other activities reflective of the historic age of the house. Then it’s onto the Canadian Food and Wine Institute (CFWI) at Niagara College. Located in beautiful Niagara-on-the-Lake, CFWI boasts a world-renowned full-service Teaching Restaurant, an on-site craft Teaching Brewery, Canada’s only commercial Teaching Winery, a Teaching Distillery which represented our country as Junior Culinary Team Canada for the Culinary Olympics in 2016. Attendees will experience first-hand how the CFWI interacts with their customers to ensure the best possible delivery in visitor experience. The Wine Visitor and Education Centre is the first of its kind on-campus facility in North America. 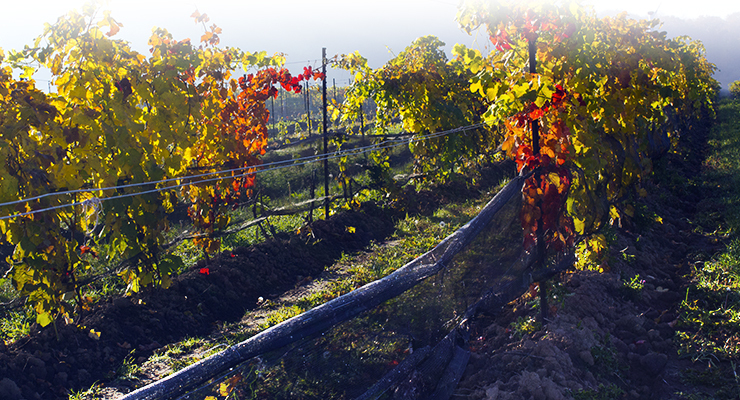 The Centre celebrates Ontario and Canadian wines. Tasting counters, retail sales and interactive displays are all part of what the Centre offers. You’ll learn how the CFWI partnered with the Tom Thomson Art Gallery to create a house-wine marking the 100th anniversary of the artist’s death and how your institution can create your own brand of wine. The Niagara College Teaching Brewery is Canada’s first teaching brewery and a practical learning environment for students in Niagara College’s Brewmaster and Brewery Operation Management Program. The open-concept state-of-the-art 1,500 sq. ft. teaching micro-brewery facility allows students to brew their own craft beer on-campus and gain significant hands-on training in beer making, sales management and sensory evaluation. Delegates will have the option of a tour of the brewery. Opened in September, 2018 the Teaching Distillery is a 2,500 square-foot facility adjacent to the College’s Wine Visitor + Education Centre. The distillery boasts five stills, four mash tuns and ten fermenters that allow for on-site production of a wide variety of distilled products and is the latest addition to Niagara College's series of learning enterprises and renowned visitor experiences. We’ll dine in style at Benchmark restaurant. Nestled beside the beautiful Niagara Escarpment and Niagara College Vineyards, our luncheon menu choices focus on the delicious edible bounty of the Niagara Region and province of Ontario and feature Niagara College wines and beers. Fee: $125. This is in addition to the all-inclusive registration fee! Open to delegates and guests. Tour includes transportation with a facilitator/interpreter onboard, all guided site visits, refreshments and lunch. You will be returned to the Hilton Toronto Hotel at approximately 5 p.m. Limited to 40 participants. Bus leaves the Toronto Hilton at 1 p.m. This Study Tour is much more than a "show and tell"! Attendees will be offered a unique opportunity for a private, behind-the-scenes tour of PACART’s state of the art storage and warehouse facility in Toronto. You’ll see what the future holds for exhibit storage and transportation! You'll also participate in an interactive, hands-on exercise putting your packing skills to the test. Are you up for the challenge? We’ll enjoy some light refreshments (and maybe an omelette or two depending on your packing skills) before we return to the Toronto Hilton Hotel by 5 p.m.
Fee: $25. This is in addition to the all-inclusive registration fee! Open to delegates and guests. Includes transportation, behind-the-scenes tour and light refreshments. Pre-registration is required for all evening events. Tickets will not be sold on-site. Calling All Emerging Museum Professionals! The Group of Ontario Emerging Museum Professionals (GOEMP) Committee is thrilled to be hosting a pre-conference meet-up in downtown Toronto. Here’s your chance to mix and mingle with other EMPs and conference delegates during an informal, relaxed evening. Catch up with contacts, make new connections, learn what other professionals are up to and enjoy a drink or some pub fare. We look forward to seeing new and familiar faces! The GOEMP Committee acts as a voice and a resource for Ontario's emerging museum professionals' community, providing programming, communications and resources both digitally and in-person, fostering a supportive, professional network among Ontario’s EMPs.